autofreax.com Community ...and what are you drivin? You can upload as much images as you like to your cars profile or create illustrated tutorials. You can link all your videos from various Video-Communities to your car! 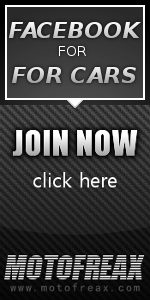 Create Car and Profile Banners, share them along the Internet - connect simply everything!